The clock has been reset with 24: Legacy, and this limited series will explore the past of its new leading character, Eric Carter, who led the elite squad responsible for killing an infamous terrorist leader and, consequently, forced into hiding. But before he was a national hero and a wanted man, Carter learned the Rules of Engagement in the streets of Iraq and Washington, D.C. hoods. 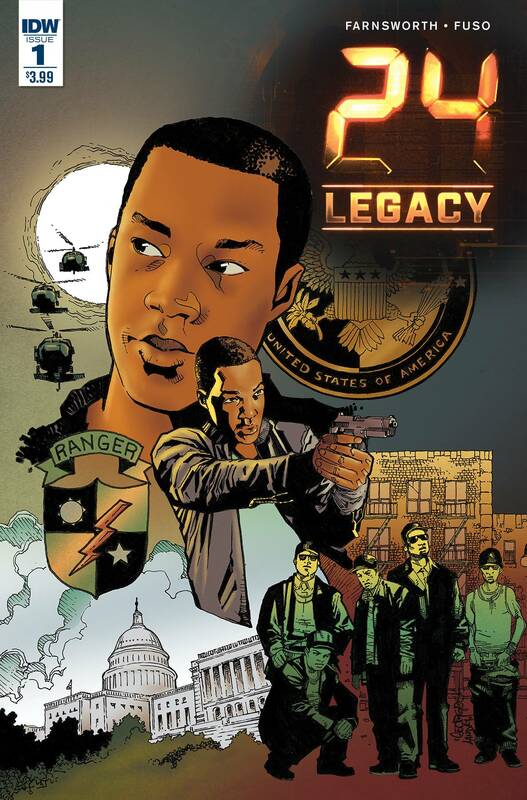 • Based on the new hit iteration of the 24 franchise! • Executive produced by Manny Coto and Evan Katz, writers of the show! • Covers by Georges Jeanty (Serenity)! • Each issue will have a photo cover featuring the cast of the show! • Ask your retailer about the Antonio Fuso (Drive) variant cover! • Written by Christopher Farnsworth, journalist, screenwriter and the author of The President's Vampire series..